This is another oldie but goodie recipe that I’ve revamped a little. 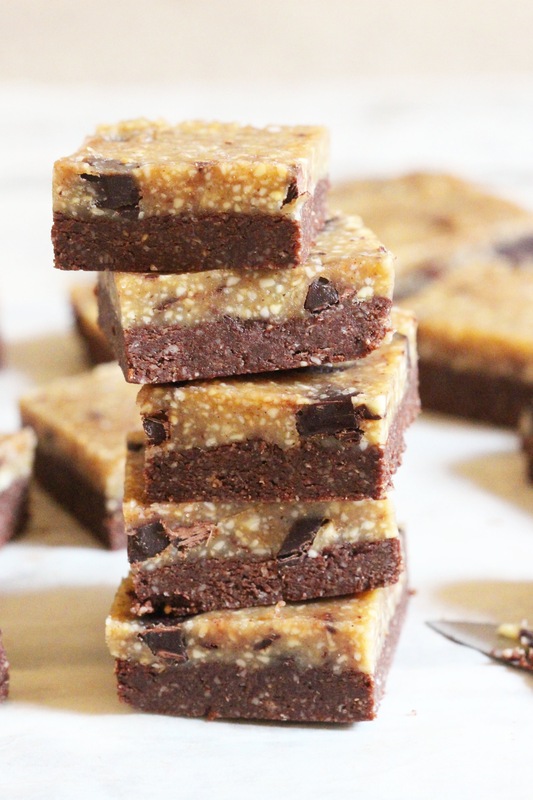 They’re the ultimate treat- a fudgey raw brownie style base topped with a chewy cookie dough layer- heaven. They’re full of nutritious goodies from all the good fats, calcium and magnesium in the cashews and almonds to the amazing antioxidants in all the rich cacao powder. 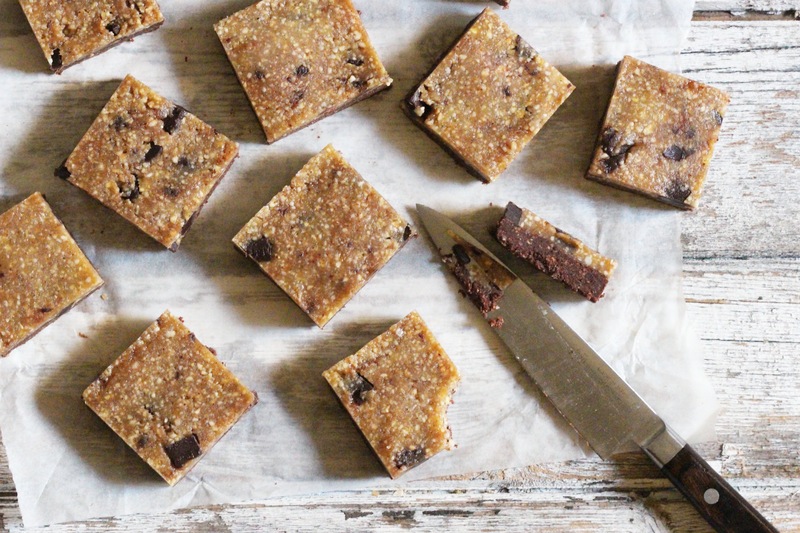 An amazing treat made from awesome ingredients. Preheat the oven to 180’C. When it’s hot, roast the cashews for about 8-10 minutes until golden. For the first layer, add the ground almonds and cacao powder to your food processor and blend until combined. Add in the almond butter and maple syrup and blend until smooth. It should be thick and fudgey. Spread the mixture into an 8 inch baking tin lined with parchment paper. Make sure it’s pressed in firmly. Set it aside while you make the next layer. For the top layer, add the roasted cashews to the food processor and blend until you have a coarse cashew flour. Then add in the vanilla powder and a pinch of sea salt and pulse it to combine. Add in the melted coconut oil and maple syrup and blend until it comes together into a thick nut butter type consistency. Add the almond milk and mix again. You’ll get a creamy, smooth dough which is absolutely delicious, try not to taste too much of it as there is just enough to cover the bottom layer. Transfer the dough to a bowl. Chop the chocolate into chunks and mix it in. Spread the dough out over the bottom layer. Pop it in the freezer for about an hour and then slice and enjoy. Are you able to replace the cashews with anything? Not a fan of nuts…. Could I use vanilla extract instead of powder? If not where can i get the powder?